We have qualified archery instructors who can teach you skills to become a great shot. It requires patience, upper body strength and focus to achieve a hit on the target. Youth sessions are from £3.95 running on Tuesdays for one hour with two sessions at 3.45pm and 5pm. Adult sessions are also on Tuesdays for £4.75 running at 7pm and 8pm for one hour. Fancy some private tuition? We offer tuition at £26 per hour for a private session, or if there are two of you in the group we can offer it for £36.50 per hour. 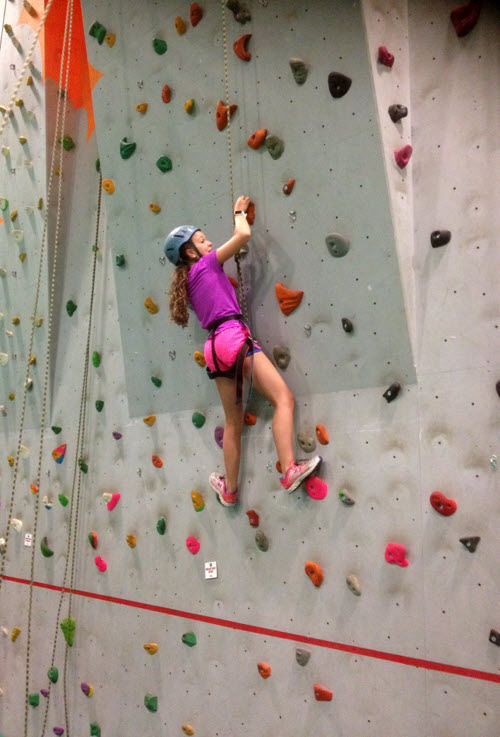 Our indoor climbing centre offers the opportunity to build strength and courage! Juniors cost only £3.95 per session and these run on Mondays for one hour starting at either 3.45pm or 5pm. Adults can climb for £4.75 on Mondays for one hour starting at 6.30pm. If you want to get involved please turn up on the day, or alternatively you can get in touch by filling out our contact form below.